Join our newsletter for exclusive deals, voucher codes & more! The world’s best selling creative magazine for digital artists and designers, Computer Arts gives you the inside story from the industry, exploring new trends and revealing how you can use your favourite software in new and interesting ways. Each issue of Computer Arts Magazine showcases the best illustrators, graphics designers and web designers from the industry and features expert, in-depth tutorials to give you the skills and inspiration to become a better artist. Computer Arts Magazine features insightful interviews and is constantly exposing new talent and building a community of international designers. Order your Computer Arts Subscription now and become a part of this community. Computer Arts Magazine reviews the latest software and hardware releases every month, and gives creative tips and advice across areas such as multimedia, web design, typography, animation, 3D and motion graphics, along with helping you to learn new techniques. 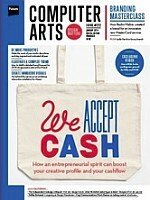 Get your Computer Arts Magazine Subscription today for huge savings and free delivery to your door! Recently, Computer Arts Magazine has featured some of the following… Improve your design skills – a cross-media special. Discover brand new techniques across web, mobile, print and more… Create your perfect logo – the 5 rules of great logo design… Design secrets to help you become a better designer in 2010… Future trends – spotting the styles that will shape 2010… PetPunk profiled – the Lithuanian duo are searching for the future of design… Get your dream job – the secrets of getting your foot in the door… Discover the hidden power of Adobe’s most undervalued creative application – Acrobat… And of course, pages and pages of tutorials including Photoshop, Illustrator, Flash, InDesign and After Effects. Do yourself a favour and order a Computer Arts Subscription now, for features like this and so much more!